Sell Sony PS Vita | How Much is My Sony PS Vita Worth? How Much is Your Sony PS Vita Worth? An old or used Sony PS Vita is worth $25.00 - $30.00 dollars depending on the condition. *Price subject to change. Quote in dropdown is final. Sell your Sony PS Vita for top dollar at GreenBuyback. Select the information above in order to receive an accurate quote for the Sony PS Vita you want to sell. Click sell item if you agree with the price that is displayed. GreenBuyback purchases cell phones, tablets, and laptops at the highest prices in the industry! GreenBuyback pays cash for your old cell phones, tablets, and laptops. When you sell your cell phone, tablet, or laptop to GreenBuyback you will never have to pay shipping. GreenBuyback is dedicated to maximizing the cash back to our customers. Sell your Sony PS Vita for cash today! The Sony PS Vita was originally released in 2012 with an update two years later in 2014. The Vita delivers amazing visuals on its 5-inch OLED touch screen that look almost as good as PS3 graphics. The system's game lineup has matured into an indie haven, though AAA titles are scarce. The Vita allows for downloading of some games (including all first-party titles) over the PlayStation Network. Selling a Sony PS Vita is so easy with GreenBuyback; send your Sony PS Vita to GreenBuyback with free shipping and you’ll get cash sent to you fast! The Vita's operating system is smartly designed, easy to use, and ultra-responsive. The unit feels great to hold and has excellent standby battery life. A lot of Playstation titles can be purchased on other Playstation consoles and Vita for one price -- a regular bargain! GreenBuyback will buy your Sony PS Vita in any condition, even broken! 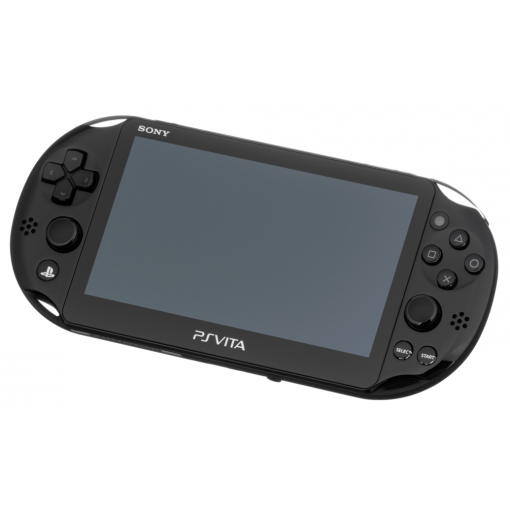 Simply head to GreenBuyback to get a quote, send your Sony PS Vita in, and get cash quick!